It’s apple season here in Maine! During my last visit to my parent’s house I picked a 5 gallon pail of apples from their heirloom Wolf River apple tree. These large apples are great for baking and I’ve been cooking up a storm-apple pie, apple muffins, and one of my favorites-apple butter. Over the years I have learned to love this fruit butter; the preparation is simple, it smells and tastes delicious and as it is rarely sold in stores these days, it makes a great gift. Looking to make a batch of your own this season? 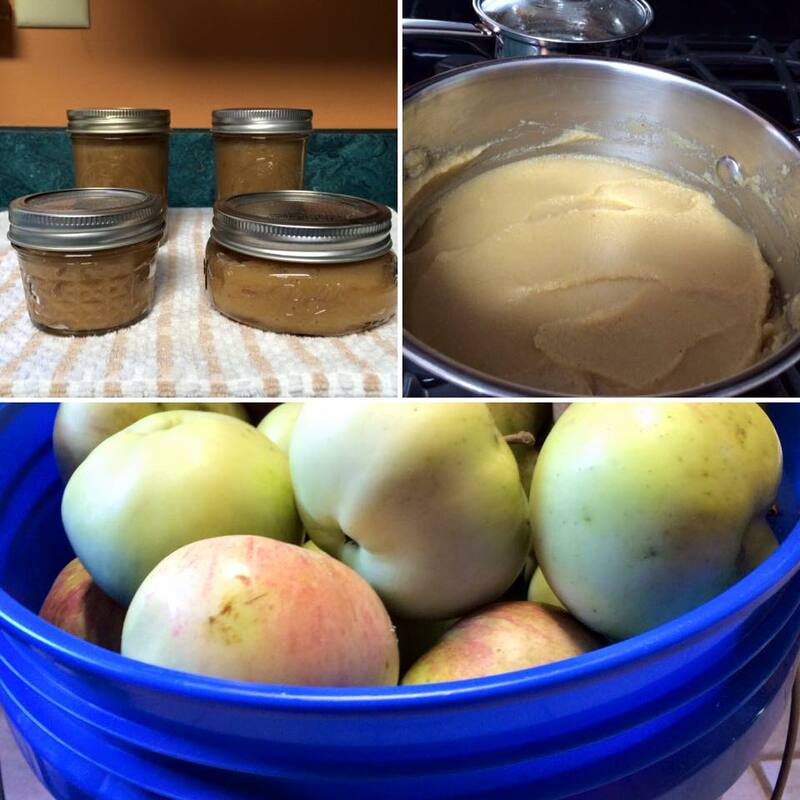 Below is my recipe for an apple butter sweetened with another Maine staple- maple syrup. Wash apples. Cut out cores and cube apples leaving peel. Cook apples on medium-low heat stirring occasionally for about 15 minutes or until soft. Scoop softened apples into a blender and blend until smooth and the peels have disappeared. Poor mixture into pan and cook over low heat stirring frequently until the mixture has become very stiff, about 30-40 minutes or until it stands up in the bowl of a spoon without running to the edge and has a buttery consistency. Remove from heat and add maple syrup, spices and lemon juice. Taste and adjust syrup and lemon juice as needed. Spoon into prepared jars leaving 1/2″ head space and removing as many bubbles as possible. Process jars in a hot water bath for 10 minutes, turn off heat and allow jars to sit for an additional 5 minutes before removing.